Richmond, BC – The Pacific Autism Family Network (PAFN) has officially welcomed Autism BC (formally the Autism Society of British Columbia) to its main Hub in Richmond. Autism BC, British Columbia’s oldest charitable organization for individuals and families affected by Autism Spectrum Disorder, moved their head office from Burnaby to work under the same roof with the PAFN so that families and those affected by autism get more effective support and programming. 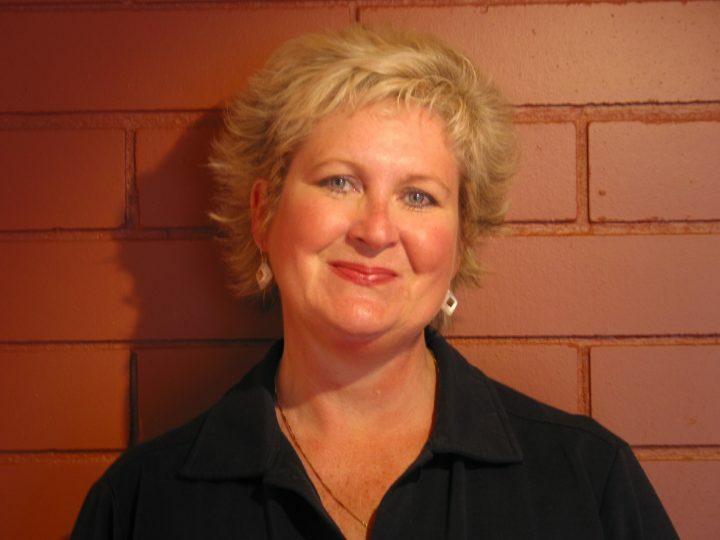 “It’s such a tremendous community benefit to have likeminded organizations working together under one roof. No longer will families have the burden of navigating siloed organizations for resources and programming; they’ll instead have one place they can go that offers the necessary support from multiple notable organizations”, says Sergio Cocchia, Co-Founder of PAFN. The Pacific Autism Family Network and Autism BC will collaborate on programming across the province of British Columbia, particularly with the eventual collaboration of PAFN’s expected smaller “spoke” locations, and partnering on providing information sessions and workshops for families. 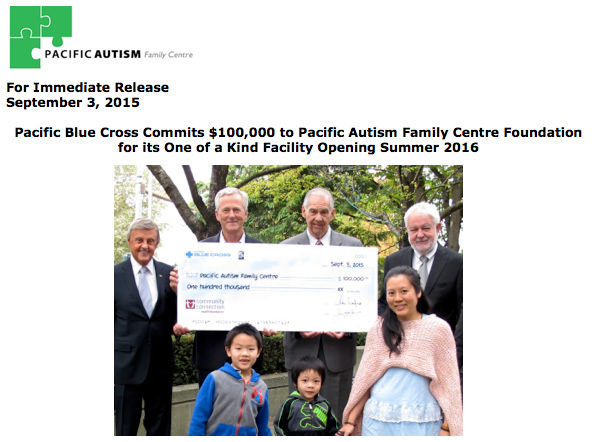 “Autism BC is excited to be working closely with the PAFN in delivering critical autism supports and services to families across the province. Moving our head office into the Richmond Hub is the natural progression in better serving families with centralized and integrated programs”, says Anya Walsh, Executive Director of Autism BC. Other charitable groups, as well as partner service providers, are expected to move into the PAFN’s main Hub throughout the spring and summer of 2017. This mandate will ensure the expansion of needed access and capacity building for families and those in need throughout British Columbia. locations. 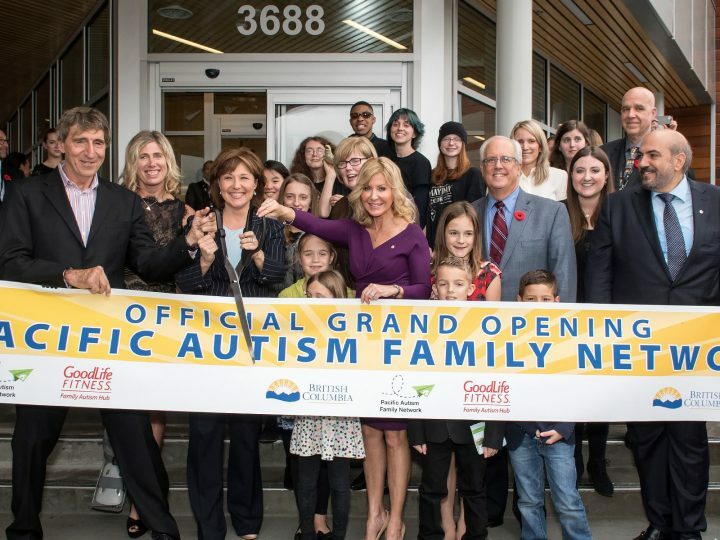 In November, the PAFN opened their first location – the 60,000 sq.ft GoodLife Fitness Family Autism Hub in Richmond, and will open smaller satellites in other area of B.C. in 2017. The network will ensure that all British Columbians have access to state-of-the-art resources for assessment, treatment, education-support and research, providing a “one-stop-shop” for families looking for help in their navigation of available information and services. Autism BC is a parent-based and directed non-profit organization that has been working to provide information and support to individuals and families affected by autism since 1975. Working closely with local partners throughout the province, Autism BC helps reach and connect families and professionals with autism resources in underserved communities. Autism BC is a founding member of the Provincial and Territorial Council of Autism Canada.